Have you made any new financial goals for the new year? 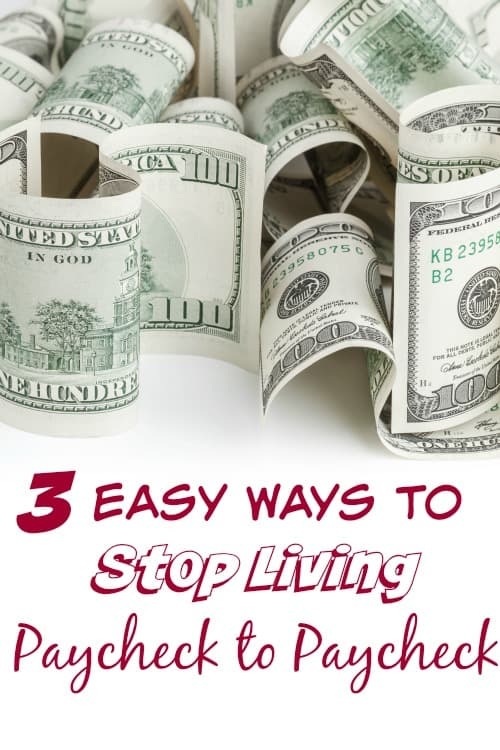 Maybe you want to fill your savings account, maybe you want to start investing or maybe you just want to get your budget to a point where you can stop living paycheck to paycheck. Let’s face it. It happens more than any of us care to admit. What is that old saying? “The average family is one paycheck from being homeless.” I don’t know about you, but living that way, living with a budget that is so tight that you never know if you’re going to make the bills or be able to buy food isn’t something that I like doing. In fact? I’d have to say that managing my money to flow from when each paycheck comes in is probably one of the things that I hate most about budgeting when things are tight. It’s so easy to have your budget fail when things are that tight. Luckily, we don’t have to live that way, there are things that we can all do to keep ourselves from being in that position. When your budget is so tight that you are out of money the same day you get paid, it creates what can seem like a never ending cycle of stress and of always being broke. I know how that feels. It can feel like life pauses around you, like it isn’t fair and like you’re never going to be able to dig yourself out of the hole you’re in. Getting back on track might not seem like it can be done, but it can. While the steps to getting things situated are easy to figure out, they may be harder to put into practice. Before you even get started, you’ll have to make sure that everyone in your family who spends money is on board. If you have one person trying to save in a budget and another or more that aren’t, you’re going to have big issues. All this means is that before you start making any major changes in your spending or budget, that you need to sit down and have a budget meeting with everyone in your family. In fact? You’ll want to plan these budget meetings at least once every 2 weeks. We actually have them weekly. Most people won’t include the kids in their budget meeting, but we actually do. It’s not because Emma has any real say in how things work but we want her to learn how to do things for herself when she’s an adult. We want her to understand how working for a paycheck equates to living a comfortable life. She doesn’t sit in on every meeting, but we do have her sit in on the first one of each month. Having a budget meeting allows everyone to be on the same page as far as the budget and the finances are concerned. You’ll need to cut expenses – This one should be a given, but for a lot of families, it’s not. In order to get ahead of your budget, you need to cut the number of expenses you have coming out. At least for a little bit. First, go through your bills. If you’ve got cable still, look into dropping it. If you’re still paying for a landline, ask yourself why. If you’re paying too much for your cell phone, take a look at different companies that can help you drop your bill. Next, go through your budget and see if there are things in your budget that you can stop spending money on. Once you’ve done that, take a look at what you use in your home that you can make at home instead of buying. Between the three, you should be able to cut quite a bit of money from your budget. You’ll need to actually start saving – Getting ahead of your budget doesn’t work too well when you aren’t actually saving money. I don’t mean the “live a frugal life and save on your expenses” type of savings. I mean actual money saved in a savings account. You won’t be able to stop living paycheck to paycheck if you don’t. Having the buffer that a savings account creates allows you to get ahead on your bills and expenses so that you aren’t always running out of money. In 2015 when we were looking to pull ourselves out of a budget hole left over from 2014, we used this method to get a month ahead of our expenses. As a result, we’re now several months ahead of ourselves on the majority of our bills. One thing that I recommend when you’re looking at stashing money in a savings account is that you don’t use one that is with the same bank as your checking account. It can be too easy to transfer money out of your savings. We use a savings account with Capital One 360 that is attached to our checking as an external account. This forces a waiting period for us when we want to transfer money out. Usually over that waiting period, we decide we don’t really need to spend that cash after all. Another thing I recommend, especially if you’re having trouble saving money, is to sign up for Digit. Digit is an auto savings program that saves money for you in an FDIC insured account based on your spending habits. Usually it’s just a couple of dollars and trust me when I say that you won’t miss it whatsoever. We’ve used Digit to save over $3,000 since we started with them. 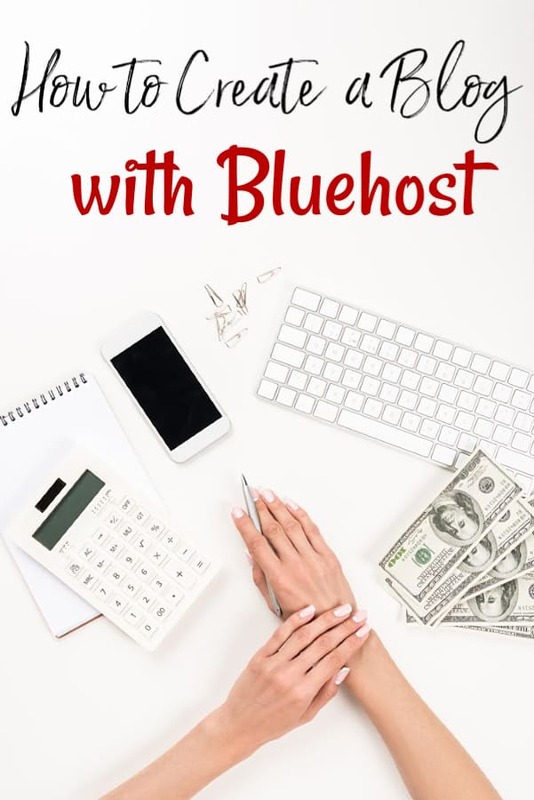 You’ll need to actually stick to it – It’s one thing to do a new budget and cut your expenses, but it’s an entirely different ballgame to stick to it. You might have a workable budget that can get your family out of your current financial crisis, but if you don’t stick to it, you’ll never get anywhere. This is where those weekly budget meetings come into play. They help your entire family stay on budget. They help you recognize early when you’re not on track. They help you know when you’re starting to get ahead of yourself so that you can use that success to drive you onward to full success. Do what you need to do but making sure that you stay on the new budget you’ve created and that you don’t dip into your savings if you can help it and things will be fine. I realize that the steps above are simple. I warned you they would be, but they’re simple for a reason. Too many people overthink something like this when it really does boil down to something easy to manage and something simple to grasp. If you’ve done the three above and you’re still having issues, there may be a bigger issue. Do you have someone spending money that you don’t know about? Does someone in your family have an addiction that is costing you your financial security? Do you not have enough income coming in? If not, consider different ways that you can make more money. Getting the budget part set in stone and your expenses cut with actual savings are the first few steps, but they’re the most important steps. Once you’ve got them done? It’s an easy downhill ride from there. Great article i will try this but i have a big question , Im a single mom of three teenagers how can i save 4300 to buy a house or start a savings plan please write back . Hey Felicia, the best way to save money is first to cut your expenses as far as you reasonably can. We have quite a few posts to help you do that here under the thrifty living section. Also, using a program like I do can help too if it auto saves for you. Also make sure you’ve got a good savings account that pays you more than the average one.